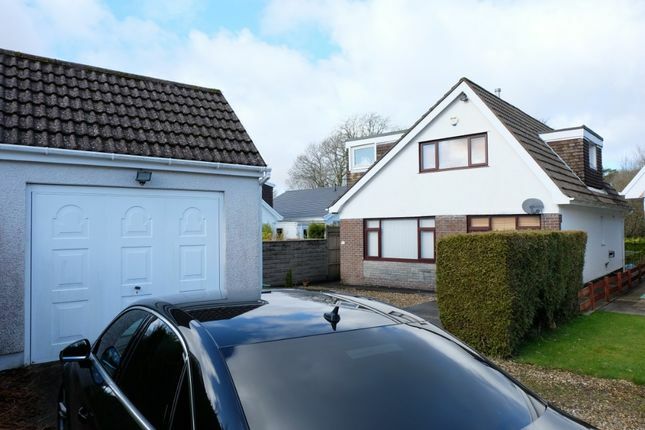 Situated on a quiet cul-de-sac is this deceptively spacious and well-presented, four bedroom, detached family home. Externally, there is a private driveway, detached single garage, and both front and rear, low-maintenance patio gardens. Downstairs, the accommodation is comprised of; entrance hallway, a large lounge to the front of the property, two versatile reception rooms, a well-appointed kitchen/breakfast room, as well as a downstairs w.c. Upstairs, and the property boasts a fantastic Master bedroom with bespoke fitted wardrobes, three further bedrooms, and a family bathroom with bath and wall-mounted shower. EPC rating: E. Landlord Registration Number: #rn . Property descriptions and related information displayed on this page, with the exclusion of Running Costs data, are marketing materials provided by Belvoir - Swansea, and do not constitute property particulars. Please contact Belvoir - Swansea for full details and further information. The Running Costs data displayed on this page are provided by PrimeLocation to give an indication of potential running costs based on various data sources. PrimeLocation does not warrant or accept any responsibility for the accuracy or completeness of the property descriptions, related information or Running Costs data provided here.